Compliance can be tricky to manage, requiring endless piles of time-intensive paperwork. Why not simplify it? Stephan Gous, SWECA Territory Manager, Nintex. All businesses are subject to various rules, regulations and laws. The amount of regulation that businesses have to comply to, is ever increasing, as are the costs of non-compliance. Your employees and management could end up spending more time on documentation than they do on their actual job. Think about all that time lost to the business, just ensuring that the right boxes are ticked. Not to mention having to file and store all that paperwork somewhere. And heaven forbid that a fire or flood happen, and all those paper records are lost. Then there's the threat to your business of non-compliance, if all of that paperwork just becomes too overwhelming to manage or if someone forgets or omits to complete a vital piece of paperwork. This could include business disruption, reduced productivity, a fine or even a lawsuit. All of which will have a significant impact on your business. However, maintaining up-to-date printed policies and procedures across a business, particularly one that has satellite offices, can prove challenging. 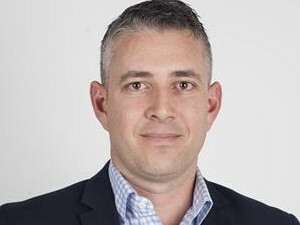 Stephan Gous, SWECA Territory Manager for Nintex, says: "Businesses need to get control over their compliance policies and procedures and revamp their manual processes by implementing an automated workflow that'll help them minimise risk, fines, penalties or other non-compliance associated costs." * Use of non-regulated content repositories (eg Dropbox or network folders). * Insufficient user restrictions to govern access privileges. * Delays and errors caused by manual reviews and approvals. * Lack of audit trail, document versioning and approval history. Gous continues: "Over and above adhering to all of the requirements imposed by the various rules, regulations and laws applicable to your business, you need to ensure that everyone on the payroll has access to the same information, regardless of geographical location. The only way to do this is to shift from manual processes and reporting to semi- or fully-automated digital ones. Employees need to know how to access, use and apply business processes as and when they need to." * Regulating access to and publishing of documents via permission-based user access to business applications, cloud data repositories and electronic document management systems. * Routing documents based on metadata; automating document generation; integrating with e-signature providers; and setting reminders to expedite reviews and approvals. * Maintaining and preserving document versions and approval history. 5. Maintain an audit trail. * Fast speed to market. * Cost-effective solution for rapid ROI. * Shared knowledge and collaboration. * Massive saving in data entry costs. * Improved visibility into compliance processes.